Today we are going to talk about marketing that will include strategy, systems, and the perpetual sale cycle. We are also going to talk about my system at Marketing for Owners — The Six P’s of Modern Marketing. That is a system that is amazing and works, but before you get to the system, you need a strategy. So systems form part of the strategy. Before you do anything, you need to think one step above and make your overall strategy. 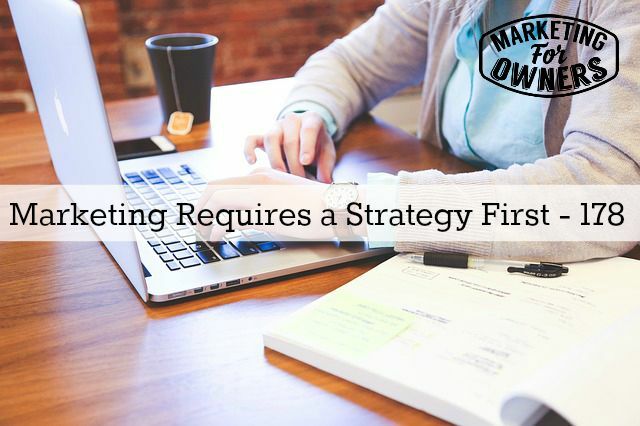 Now marketing strategy is just simply planning. It’s like a business plan, but not as boring. What it will involve is you need to know what your time scale is, what your objectives are, what people are involved? Perhaps you’ve got a budget. Perhaps you need other resources. You might need desk space, computers, if you’re doing video. You might need sort of area to set up for Youtube videos. Things like that. There is an overall strategy. So before you get into the systems, that’s what you need. Now the perpetual sales cycle will form part of that strategy or please it will, I’d like it to, because it works. Get you loads of customers. Make sure you will not have to work as hard, and that your system takes away your stress, allows you to sleep better at night. It means that customers bang your door down to become customers, instead of you having to sell them anything etc etc. But before you need that, before you do that ,you’ve got to decide whose going to be involved and how much money? Now the whole point of the perpetual sales cycle is it doesn’t really cost any money. We teach you how to put up a proper website, how to get control of your website so convert it to a different style such as WordPress, to get a lead opt-in so you can get permission from people to market to them and then to nurture them follow up and all that kind of stuff. With our website it’s going to cost you less than one hundred dollars and that’s about less than sixty quid. It’s simple. So simple. It’s almost kills me when people don’t do this kind of thing. But anyway. Just remember that it’s not as simple as that -just starting. You need to sit down and you need to plan. Now you may not need many people, you may not need much money, because honestly, it doesn’t cost much at all. You may not need much time, but you need to have thought it out. You can’t just make it up on the fly. Okay? So bear that in mind. Systems are fantastic, but systems form part of a strategy. 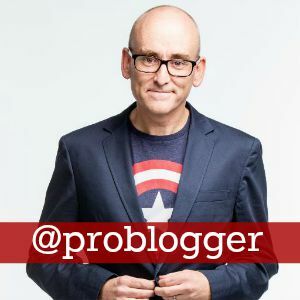 Being a Wednesday, it’s time for a friendly follow and today I’m going to recommend Darren Rowse of Problogger. Now Problogger, has been around forever. He has a lot of followers; he’s just started a new podcast, which I think I recommended last week. But Darren Rowse is someone you definitely should be learning from. I learn a lot from him. Thank you, Darren! Feel like I owe you a drink mate. I’m sure you don’t drink water. I would love, what I know about how Australians which is fosters, is what they have in England. But anyway, if ever I met Darren I would give him a big thank you bcause he’s brilliant. You should do the same. What is your strategy like?